Our range of products include 1121 xxl white raw basmati rice, 1121 golden sella basmati rice, white sella basmati rice, 1121 basmati rice and 1121 creamy sella basmati rice. 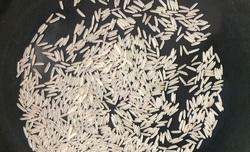 After knowing actual demands and requirements of the customers, we are offering them a huge array of 1121 XXL White Raw Basmati. Our Raw White Rice is easy to cook and contamination free due to which it is highly demanded by customers. 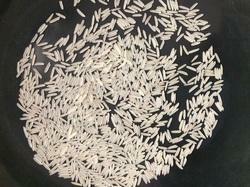 Moreover, offered rice is safe to consume and easy to digest. We are counted as reputed firm exporting and supplying best in class 1121 Golden Sella Basmati Rice. Our offered rice is hygienically processed and is free from impurities such as stones, husk and others. 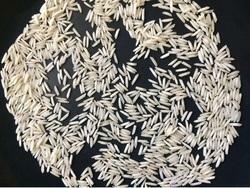 Available to us in varied packaging options for serving variegated needs of customers, these rice are known for excellent taste, easy to cook and possess mesmerizing aroma producing traits. Backed by profound experience of industry, we are engaged in supplying and exporting White Sella Basmati Rice. These rice are appreciated for their unmatched quality, tempting taste and aroma and standard grain size. Offered rice are highly demanded worldwide in various food industries for making various delicious dishes such as biriyani, fried rice and onion rice. Our clients can avail a wide range of 1121 basmati rice, which is extensively used in cooking biryani and pulao (Indian Delicacies). Our range is also used in several dishes as it adds a different taste to the dish. 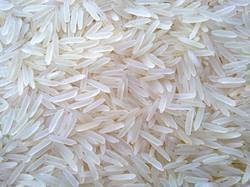 We offer a variety of long rice grains famous for its fragrance and delicate flavour. These are widely used in restaurants, hotels and other food catering areas. We export these at affordable prices. We are able to come up with a vast range of Indian 1121 Creamy Sella Basmati Rice. The rare flavour and aroma of the Creamy Sella Basmati Rice is the key to its popularity in the national and international markets., this rice is widely exported to the Arab countries where many traditional rice dishes are cooked with basmati.